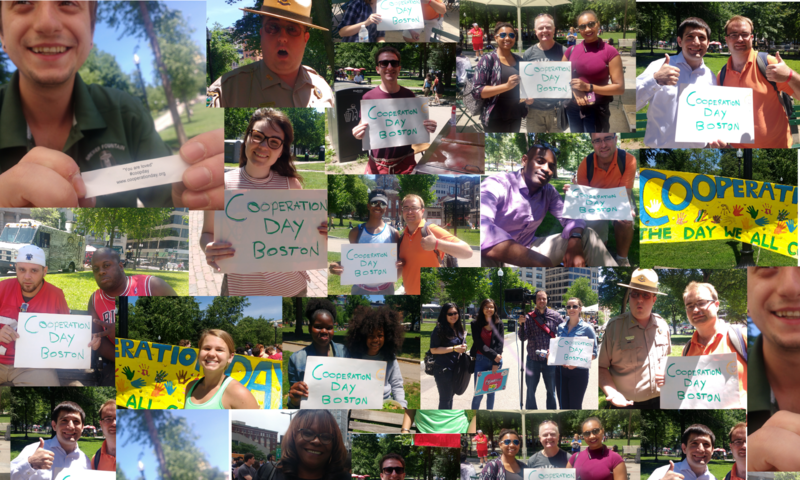 On Thursday 15, June 2017 we launched our introductory video, and Cooperation Day Boston began canvasing the people we met as we walked through Boston Common. 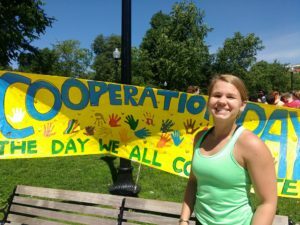 We had some handmade signs and our cooperation day banner. The banner was made by volunteers at Spontaneous Celebrations for the Wake Up The Earth (WUTE) festival earlier in May. 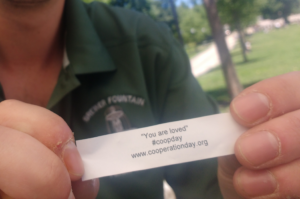 In the spirit of cooperation, we were offering gifts of very tasty (really good) fortune cookies, with a range of fortunes relevant to our altruistic goals. 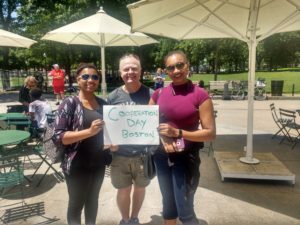 Park Ranger Steve was excited and thought that we should get the Mayor’s Office involved. He thinks that Mayor Walsh would be supportive because it’s a great way of getting good ideas for the City. 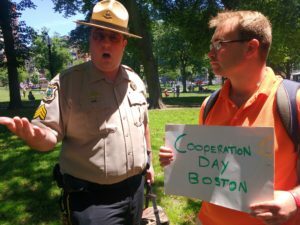 He also said that the Friends of the Public Garden are always looking for these type of ideas and we should tell them about Cooperation Day. 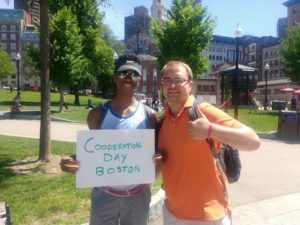 Do you have an idea for Cooperation Day? 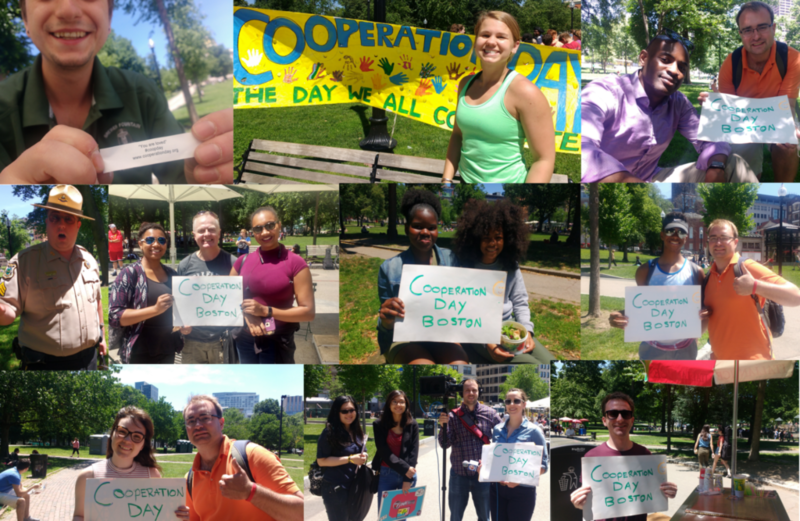 Post your idea on social media with the tag #coopday and we will pick it up and share it!